The ERC Infoday organised by the National Documentation Centre (EKT), attracted a considerable amount of attention amongst the Greek research community. 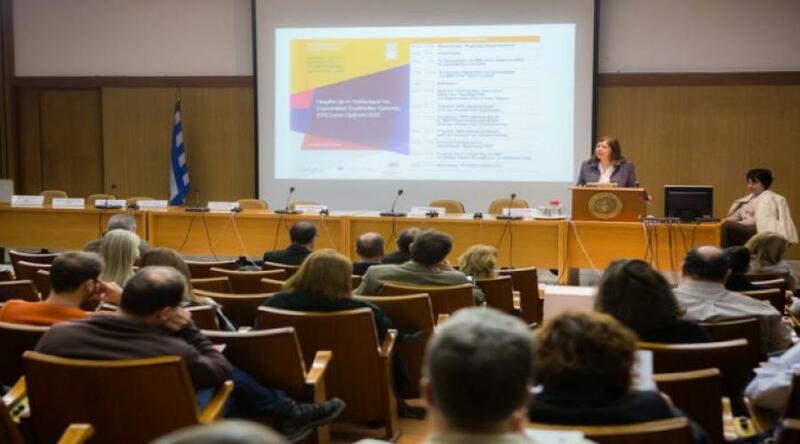 The event took place on January 13th, 2016, at the Hellenic National Research Foundation, in collaboration with the General Secretariat for Research and Technology (GSRT) and supported by the European Commission and ERC. During the Infoday experts and representatives presented the total budget allocated to the ERC for the period 2014-2020 and its annual breakdown, the new calls for the year 2016 regarding all ERC Grants, the national actions and initiatives for reinforcing research excellence, as well as advice on successful proposal submission from experient researchers. Dr Evi Sachini, the Director of the Greek National Documentation Centre, stressed the importance and the wider recognition the ERC Grants enjoy every year, since they serve as a kind of an award for excellent research activity. Dr Sachini also commented on the relatively successful track of Greek researchers during the previous programming period, who managed to hold the twelfth place out of the total number of the countries that participated. However, as she pointed out, a large percent of the Greek researchers that participated are active in universities or research centres abroad. The main goal, Dr Sachini emphasized, is for the reinforcement of support policies to the research community provided by GSRT and EKT, in order for the remarkable potential of the domestic research community to be fully realized.